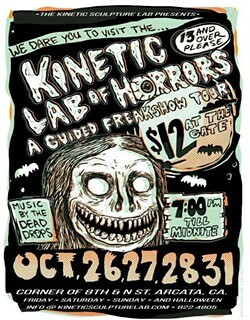 Humboldt's BEST Halloween event is back! 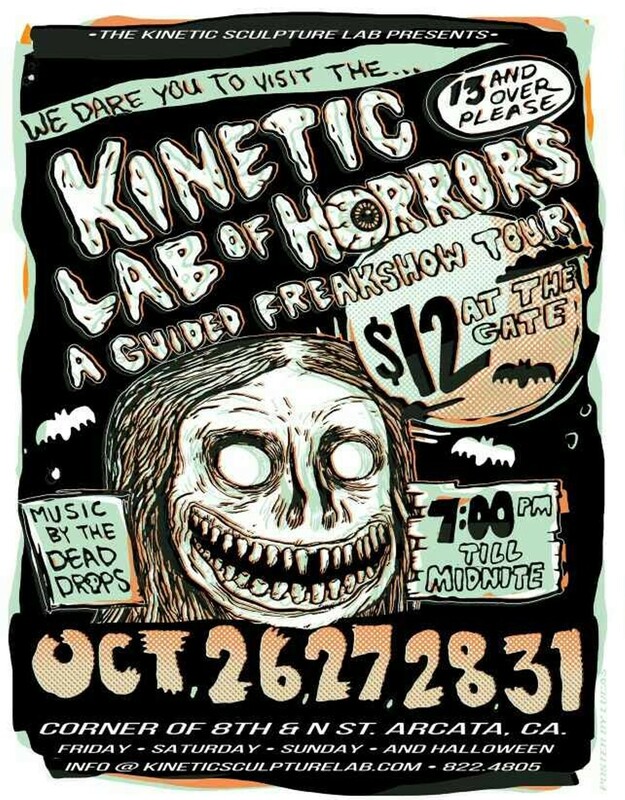 We dare you to take a guided freakshow tour of the Haunted Kinetic Lab! All proceeds will help keep this space operating for another year so kinetic artists/engineers can create masterpieces for the annual Kinetic Grand Championship. Live music nightly by The Dead Drops. Recommended for 13 and over.